Five years after her first stay as a foreign exchange student, American librarian Liyah returns to the Middle East. The move goes against her practical nature, but even a plain jane like herself sometimes thirsts for adventure. When a favor for a friend thrusts her into the path of beguiling billionaire Asad Sharif, Liyah’s sensible life may become something far more…sensual. Liyah is ensnared by Asad’s seductive charm, but she’s way out of her depth. However with a push from Asad’s meddling sister, Liyah is soon leading the lavish lifestyle of a sheikha. 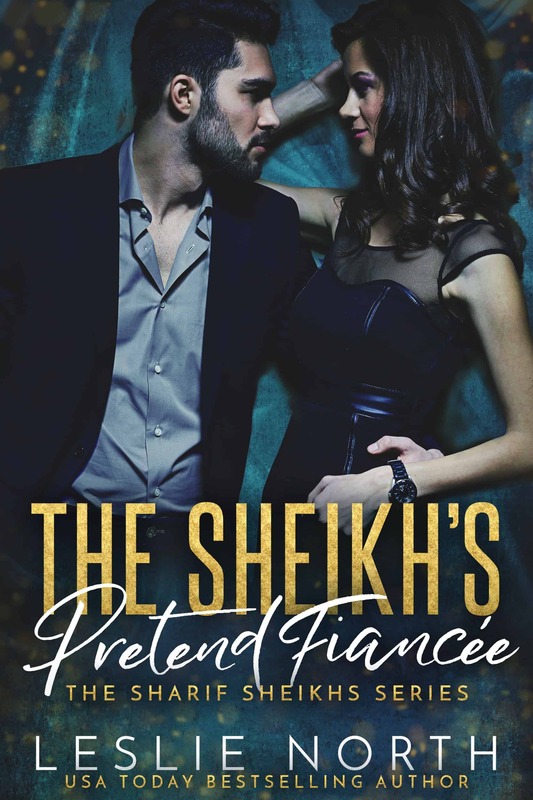 Billionaire businessman Asad Sharif has willing women falling at his feet on multiple continents, but what he needs is a wife…or at least the appearance of one. To convince investors that he’s a dependable man, what Asad needs is a fake fiancée. The bookish American Liyah is the perfect choice, and when she accepts his pretend proposal, Asad’s sister is eager to help Liyah look the part. When his shy wallflower unexpectedly blooms into a stunning beauty, Asad will have to work doubly hard not to lose himself in Liyah’s strawberry blonde hair and enticing curves.